LOS ANGELES, Calif. /California Newswire/ — On March 14, 2019 the National Residency Match Program (NRMP) released the list of applicants that applied for a Post Graduate Training slot also known as a medical “Residency.” There were just over 44,600 applicants that applied for 35,000 residency positions nationwide, says Residents Medical. The disparity between applicants and available training slots has been increasing annually for almost two decades and has been labeled the “Residency Bottleneck.” These are applicants that are stuck in limbo and come from around the world. Whether one graduates from a US medical school or a medical school from across the globe, in order to be a licensed doctor in America an MD holder must complete hands-on training in an accredited teaching hospital. The technical term for this training is Graduate Medical Education (GME), and consists of three to seven years of training, and after successfully completing a residency, only then are they qualified to apply for board certification and practice as a licensed physician in their trained medical specialty. Throughout the years, tens of thousands of applicants in this residency applicant pool have been unable to land a medical residency and have had to give up on their dream of practicing medicine in America. This is going on all the while there is a doctor shortage in America of alarming proportions. The American Medical Association estimates that by the year 2025 there will be a doctor shortage of up to 35,600 primary care physicians and 60,300 non-primary specialists in the United States! 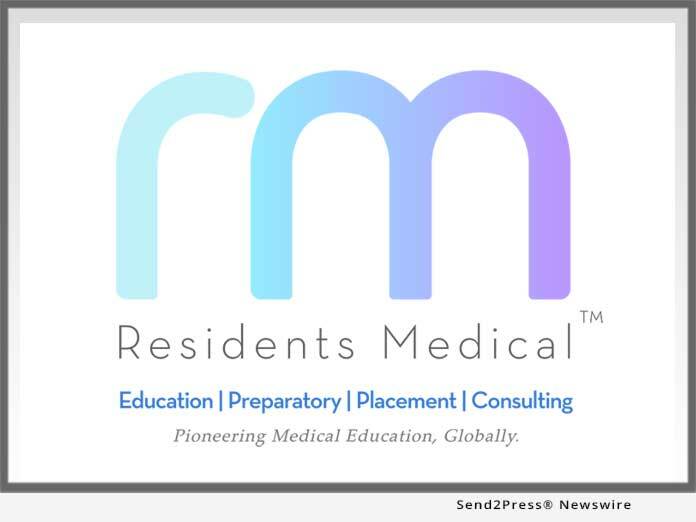 The global force at Residents Medical is strengthening its candidates’ resumes with proprietary time-tested educational and preparatory tools and the outcomes have been great. Of their candidates who landed residency, 81% were in the Main Match. The other 19% were assisted in securing SOAP and Post-Match positions. Additionally, its alliance partners are also funding residency slots so that Residents Medical can create opportunities for its candidates after they go through the process of strengthening and differentiating their residency application. In reviewing Residents Medical’s website, you’ll see they have an integral and nuanced approach in helping this specialized field of medicine. There are other consulting groups that help with the board examinations and interview preparation, but researching Residents Medical’s offerings reveals that its one-stop educational sphere with an important distinction that helps at the heart of the problem with Residents Medical’s Residency Placement Assistance Initiative. The crux of the “Residency Bottleneck” is two-fold: not enough residency slots and too many applicants; the residency programs’ infrastructure gets overwhelmed during the application and interview process. Residents Medical works to isolate and address these two problems by creating residency opportunities and distinguishing its residency candidates through a holistic CV-building mechanism. Researching forums and blogs, there is a big frustration amongst the most educated of individuals ready to dedicate their professional lives and career to the service of the sick, maim and wellness. Many of these doctors who have had to change career paths due to lack of residency are frustrated and carry hefty student loans too. Their diplomas are a constant reminder of a goal not realized. It’s important to recognize this and find a solution so that America can remain the world’s healthcare leader. Organizations like Residents Medical demonstrates care, willingness and innovation for the medical community as a whole. Residents Medical is an innovative educational organization with its sphere of influence in medical education. It prepares, educates through its proprietary courses, counsels, consults, and has candidate placement services. Its Residency Placement Program is highly sought after and competitive. Only qualified candidates are accepted. Residents Medical also works with The Everest Foundation and nominates a selected few of its candidates for an Everest Foundation Scholars tenure in research, post-graduate unaccredited training, and other medical residency candidacy CV-building procurements. This proprietary process helps candidates prove themselves to the residency programs where they are given interviews for a coveted ACGME-accredited residency position.